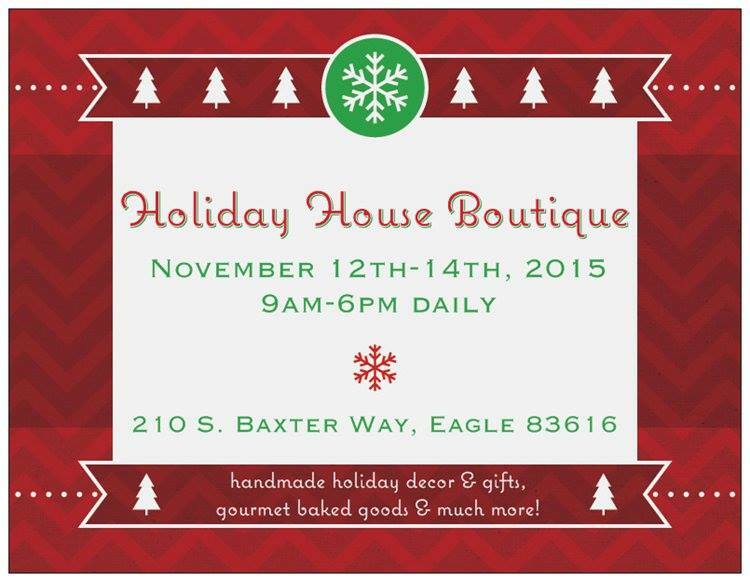 SAVE THE DATE--Holiday House Boutique opens this week! Come see us in the new Riverwalk Subdivision, just west of the intersection of W. State Street and N. Linder Road in Eagle at 210 S. Baxter Way. 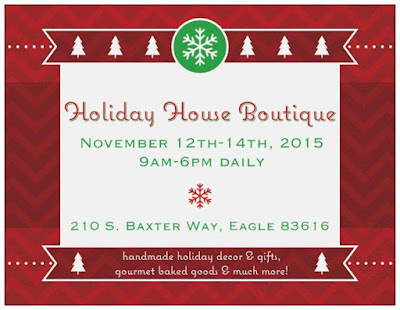 Mark your calendars for Nov. 12-14! We will be open from 9am-6pm each day. Hope you can join us!